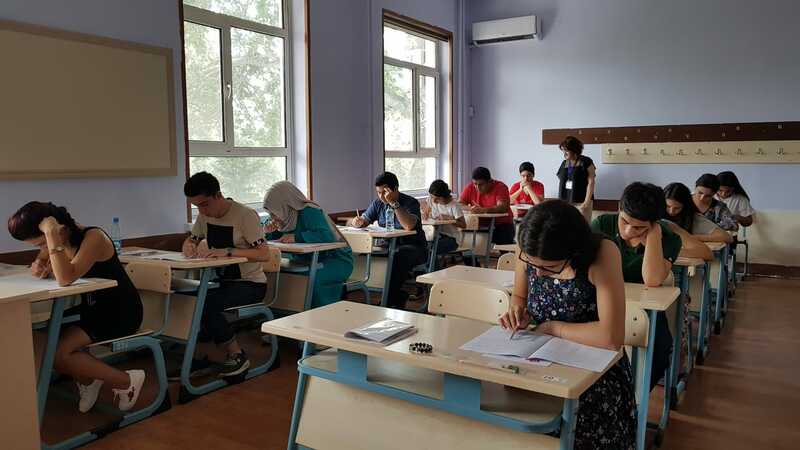 Yunus Emre Institute realized its last Turkish Proficiency Exam (TYS) of 2018 on July, 28 2018. The exam, realized 3 times a year towards individuals learning Turkish as a foreign language, simultaneously took place with the participation of 578 participants from 27 countries in 32 exam centers. In the exam applications developed in line with “Common European Framework of References for Languages”, while Azerbaijan took place on the top in the ranking, Turkey and Iran was followed by Germany. In the first session of TYS realized in three sessions, reading and listening; in the second session writing and in the third session speaking proficiencies of participants were assessed. Candidates were successful in the exam participated by candidates want to certificate their Turkish language competency will receive Turkish Proficiency Certificate on B2, C1, C2 levels according to their scores. As a result of TYS realized with the aim of providing Turkish to reach a standard exam in international level and supporting policies make student acceptance from abroad easier, the ones have Turkish Proficiency Certificate are privileged, from Turkish preparatory class when they gain right to receive education in any of the universities in Turkey. Turkish Proficiency Certificate also provides a big advantage not only to students but also to individuals, who want o work in companies act internationally in their own country, want to make Turkish translations or to teacher candidates want to teach Turkish abroad, in job applications.